We’ve all been there – that moment when you’ve asked Google a question, and end up clicking on a link to a forum answer. Of course, on first glance you can never be sure of the “answerer’s” credentials, or whether or not the information you’ve found is accurate, so often times we have to rely on context clues to determine whether or not we can trust the information we’ve found. However, what I’ve found is that there are some forums that are more reliable than others when it comes to SEO. Below, I detail my favorite SEO forums, and why they’ve earned my trust. Let’s jump into it! 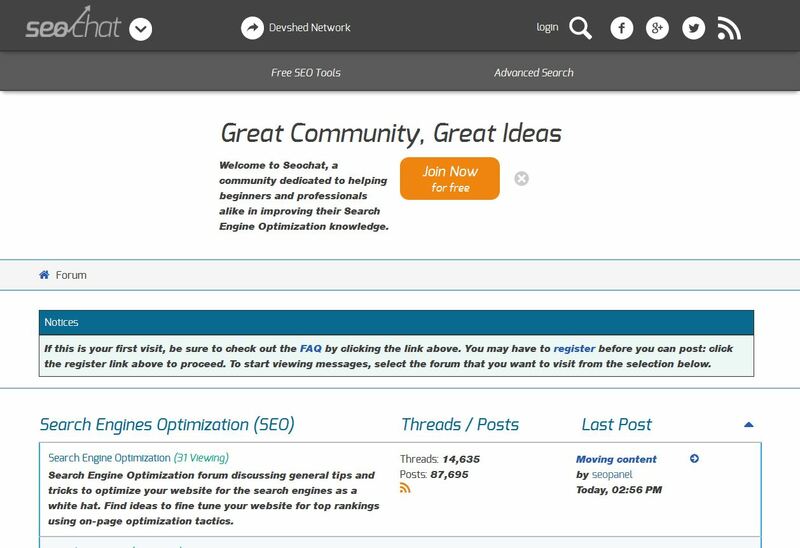 If you’re looking for a good old fashioned user-based forum, SEO Chat is where it’s at. Where this forum excels is in its vast area for topics and categories. If you have a very specific question, this is where you go to learn your answer. Not only is the interface easy-to-use and organized in a way that makes sense, but there is a good mix of contributors as well. With many SEO forums you will find that the main contributors are people asking questions and 1 or 2 people consistently answering. 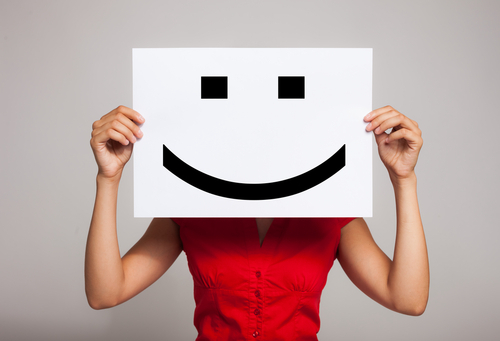 With that, you only get 1 or 2 points of view… which is not the best way to navigate through the SEO world. Hosting thousands of users, you’re sure to get a good variation and some healthy debate on SEO Chat. There’s no doubt about it, I love Moz. As a tool, Moz offers a wide range of products for marketers; Offering analytics tools, a learn area for informational blog posts and videos, and a forum-like community area, it’s practically the Disney World of SEO. But what really sets this extensive tool apart from others is it’s clarity in defining ranks for practically every part of its product base. We’re all probably familiar with Moz’s most famous ranking point, “MozRank,” which calculates a site’s link popularity. However, within the “Community” forum, there are opportunities for users to ask and answer questions regarding a myriad of SEO categories. Each user profile is given various ranking points to really nail down how trustworthy a user is. So essentially, the more helpful answers a user provides, the better their rank will become. Let’s use Erica McGillivray, a staff member of Moz, as an example. Off the bat, you’re given profile information detailing Erica’s name, location, and other facts that may or may not be relevant to your search. But looking to the left, you’ll see Moz’s “Vital Stats,” where you’ll gain a better understanding of whether or not the information given by a particular user is likely to be true. So… how does all of this information help you? When you’ve found a question or answer of interest to you, take a look at these stats. Does the user have a lot of Thumbs Down? If so, maybe the answer they provided isn’t as credible as someone like Erica who has 1,118 Thumbs Up. As you perform any kind of research, keep this in mind. Not everyone who contributes to forums is correct, so you have to determine for yourself whether or not to utilize it. Moz simply makes your judgment call a lot easier to make. Inbound.org, a collaborative site created by Rand Fishkin of Moz, and Dharmesh Shah of HubSpot, is what I like to think of as the power hub of Inbound marketers. The goal of inbound.org is, "to enable great content and people from the world of inbound marketing to get noticed." Now, this isn't a traditional forum - it's more specifically designed for authors to share content. Users are also given the ability to comment on posts, vote them to the top of the page ("upvote"), and are provided with social sharing buttons to easily share the posts they love. What makes this site so powerful? Check out some of the contributing members; Jonathon Colman of Facebook, Aleyda Solis of WooRank, Rand Fishkin of Moz, and so many other powerful leaders in the business. Want to know what Rand Fishkin is reading on a day-to-day basis? Now you can! This is such a useful site to reference, especially when creating an editorial calendar. You can quickly grow ideas and inspiration just by glancing at the home feed. Plus, by sharing your own content you'll open up opportunities for useful feedback that you don't always get from the data on your analytics reports. Check out the Analytics section for some really cool articles and comments. 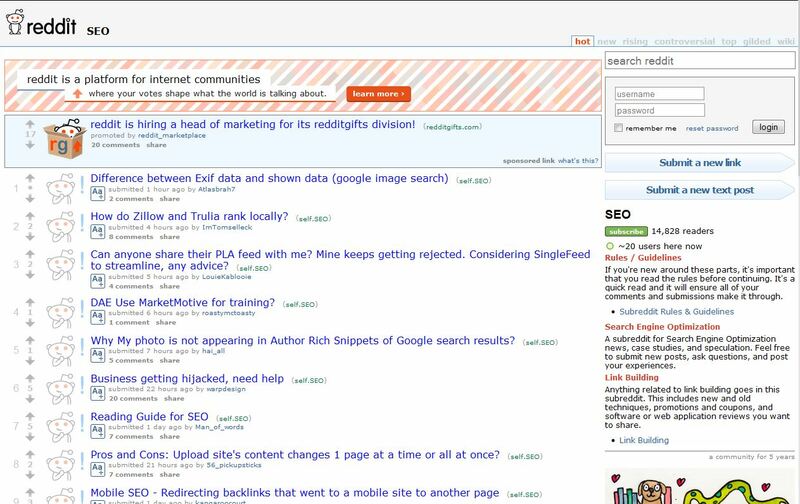 Reddit includes, but is not limited to SEO, which is why I like it as an inbound resource. Often times, I will find inspiration and advice within non-SEO specific postings, so it’s good to encourage that diversity. Though Reddit is not as professional as other forums, it tends to be a more social atmosphere. When I’m looking for some fresh ideas, I turn to Reddit. Searching and browsing through Reddit is simple, and there is a huge amount of information for SEO and marketing. Plus, being one of the largest forums in general, there’s no doubt that there will be enough participation. If you ask a question, it will likely be answered. And, when you’re burnt out on SEO research head on over to the birds with arms page for a good chuckle. 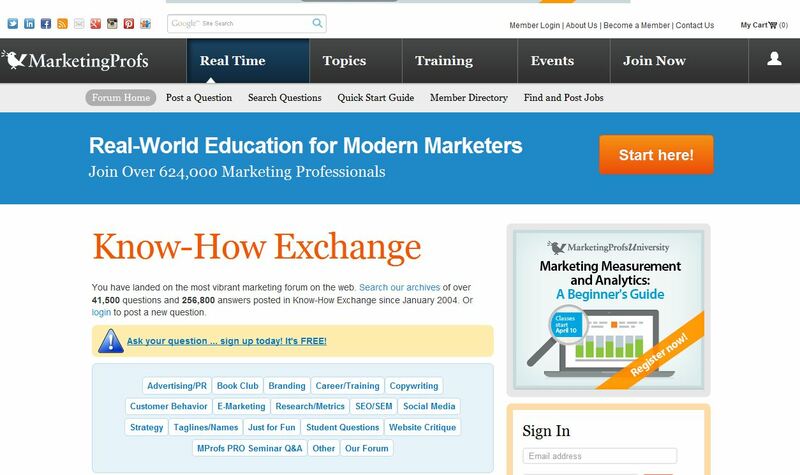 A little more structured than Reddit, Marketing Profs is like its name; a digital professor for marketing. If you’re looking for reliable information, this is the best resource. Moderators of this forum are continually contributing, and making sure that comments are on-track and valuable. However, if you’re looking for variety, or a depth of topics, this isn’t the best option. Instead, I treat this resource more like a blog. I view this forum as a news source to help find the latest SEO information. When I find really interesting topics, I’ll comment and subscribe by email. That way, the comments are sent directly to my email. It’s like a really niche RSS feed! What are your favorite marketing or SEO forums? Any that you love that we may have missed? Comment below!